Our Go-Anywhere High Back Seat 2 offers easy-chair luxury on board or at the dock. 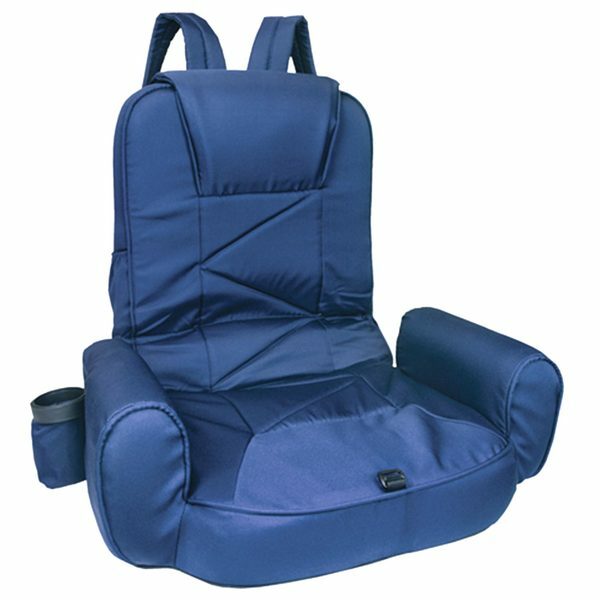 Wider, longer and more comfortable than ever before, the latest version of our High-Back companion to the Go-Anywhere Seat offers easy-chair luxury on board or at the dock. Feature comforts include a drink holder, built-in armrests, a side pocket for cell phone or MP3 player and a mesh pocket in the back for magazines or suntan lotion. The powder-coated steel frame features a heavy-duty five-position ratcheting hinge, and the nonskid bottom pad keeps you from sliding—even on wet and sloping gelcoat surfaces. Solution-dyed polyester fabric ensures longer life, color-fastness and UV stability. Folds down compact with backpack straps for easy carrying. Water-repellent and breathable.